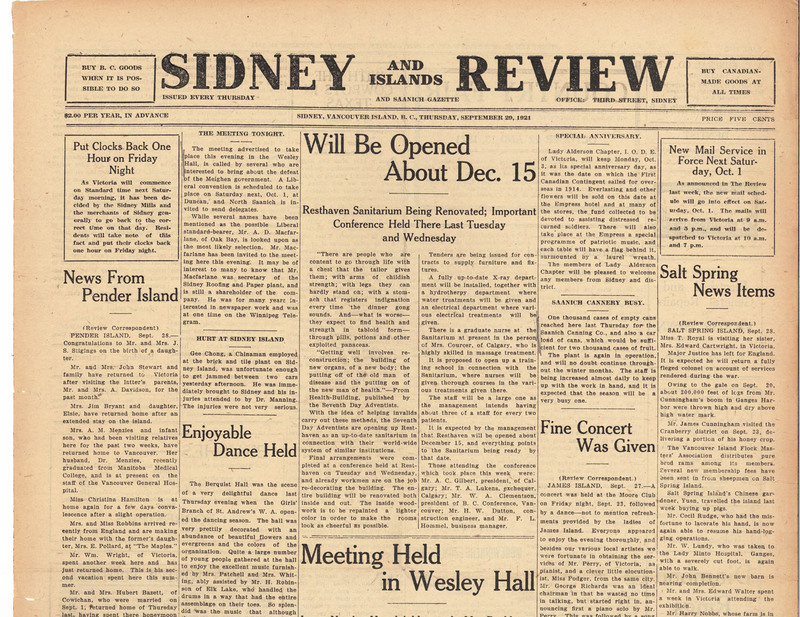 Sidney and Islands Review, "Hurt At Sidney Island", 29 September 1921, Page 1. Gee Chong, a Chinaman employed at the brick and tile plant on Sidney Island, was unfortunate enough to get jammed between two cars yesterday afternoon. He was immediately brought to Sidney and his injuries attended to by Dr. Manning. The injuries were not very serious."